On your property it’s important to get the drainage done right. 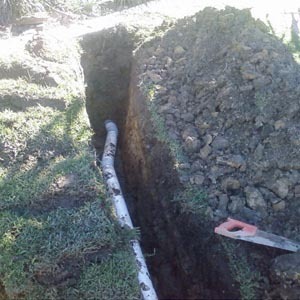 Note that a poorly designed drain layout can result in damage to footings and the foundations of your building, not to mention having the yard under water or a room flooded. We can help you with a number of solutions to ensure these possibilities are not an option. We are highly experienced in this area. Take advantage of our FREE advice and FREE quotes. Every dwelling plumbed by Dickson Plumbing & Gas Fitting also required a sewer connection and after 12 years we have installed many of them! 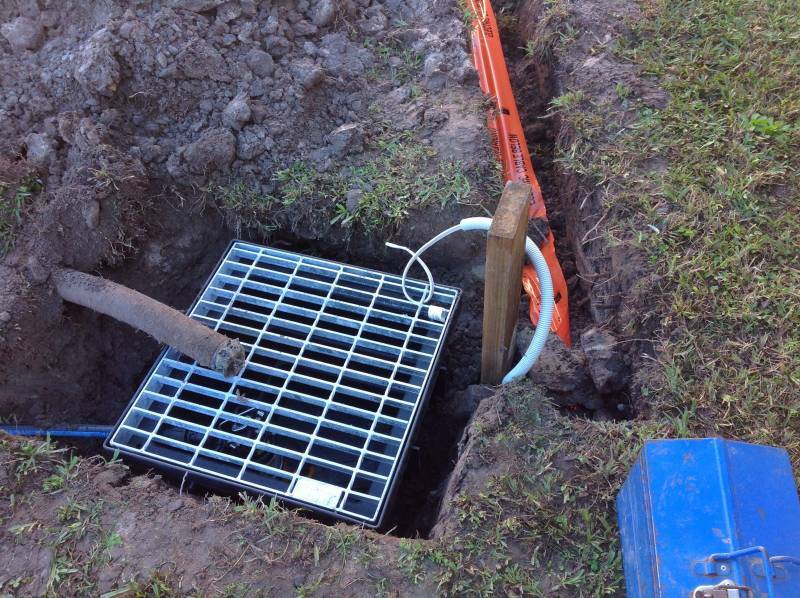 Our motivation to lay drains correctly with a perfect gradient is the insurance we give you so we don’t need to come and unblock it. If your looking for this level of quality call us now, don’t risk doing it yourself. 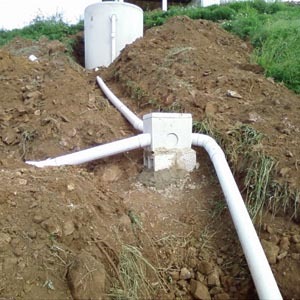 Storm Water pipes remove water from your roof, ground run off and under ground springs. 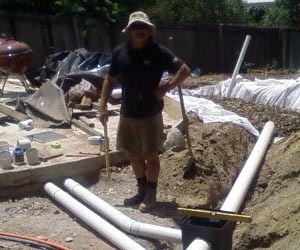 Drainage can discharge to the street, council main or to a rain water tank. All storm water drain need to have a minimum fall. If storm water drains are to hold water then all entry and exit points must have mosquito mesh install, this also includes septic systems. An area that’s not always familiar with everyone are absorption systems. 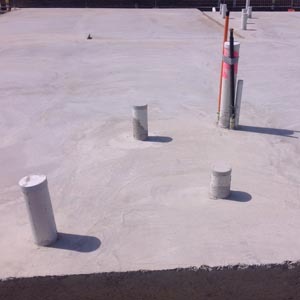 Absorption drainage systems can remove or discharge water below the surface of the ground. 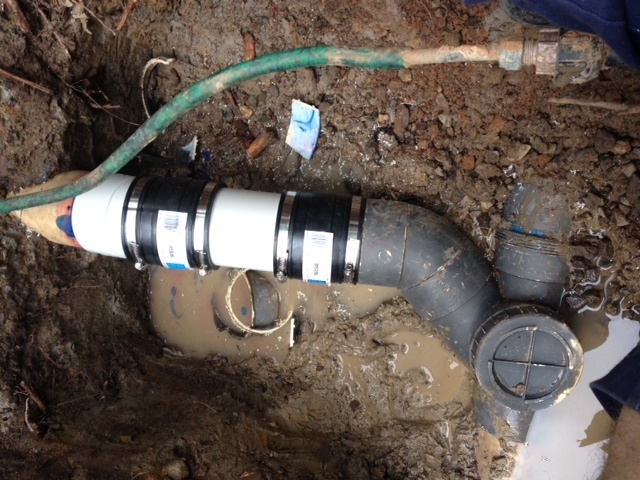 They are regularly used in storm water or septic applications and these methods are a clever way to deal with a water problem without the ground or above ground methods being visible. Absorption systems are a real passion and we would love to design one for you! If your drains are blocked or they are just not doing the job call us today for a free quote. 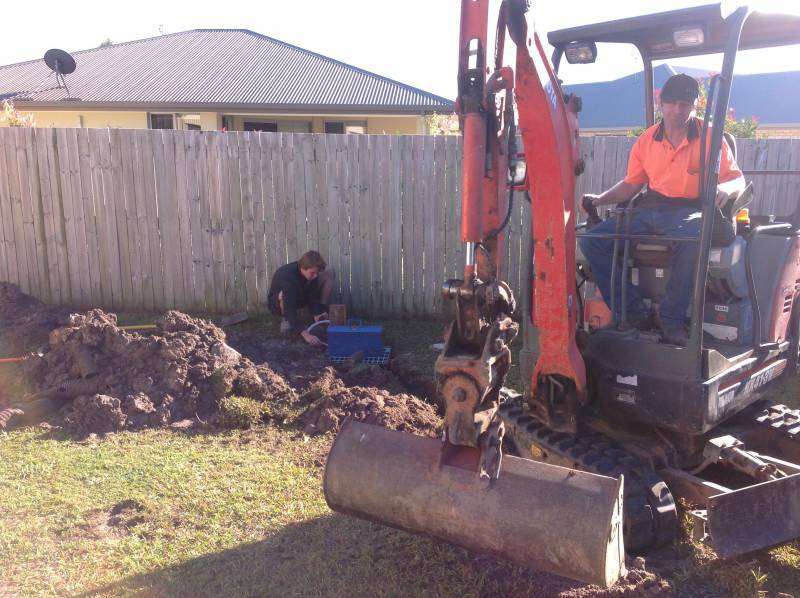 Dickson Plumbing and Gas are known for their knowledge on drainage issues across the Sunshine Coast. They can divert water from flood prone areas without worry.